Beste also has downloadable MS Access databases regarding mineral locations around the world at the same website. He has noted he is working on a new edition of the book so you may want to visit his website later for updated mineral locations. 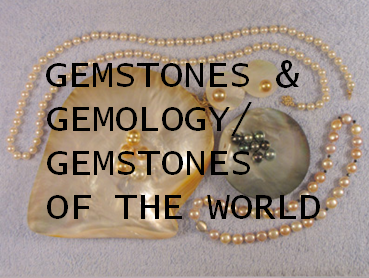 If you enjoyed our gemstone maps and gem game and would like to learn more about gemstones please visit our instructor's course materials at Emporia State University by clicking here. Or better yet, if you haven't already taken the course--enroll the next time it is offered.